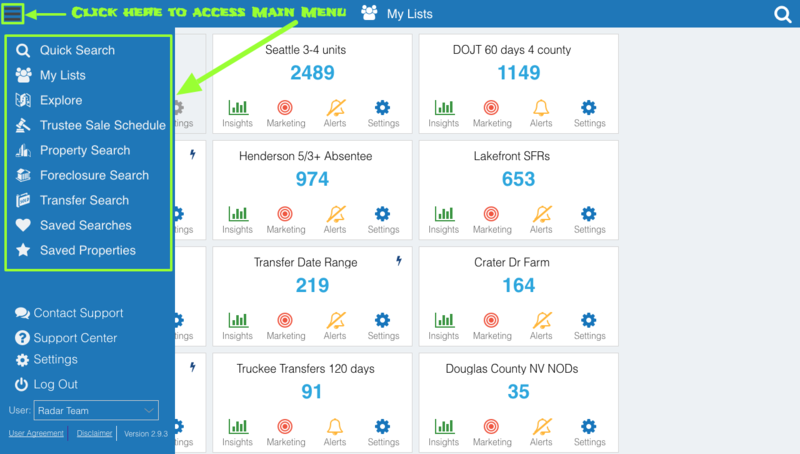 Your available actions highlighted in the Main Menu may differ depending on your subscription package. 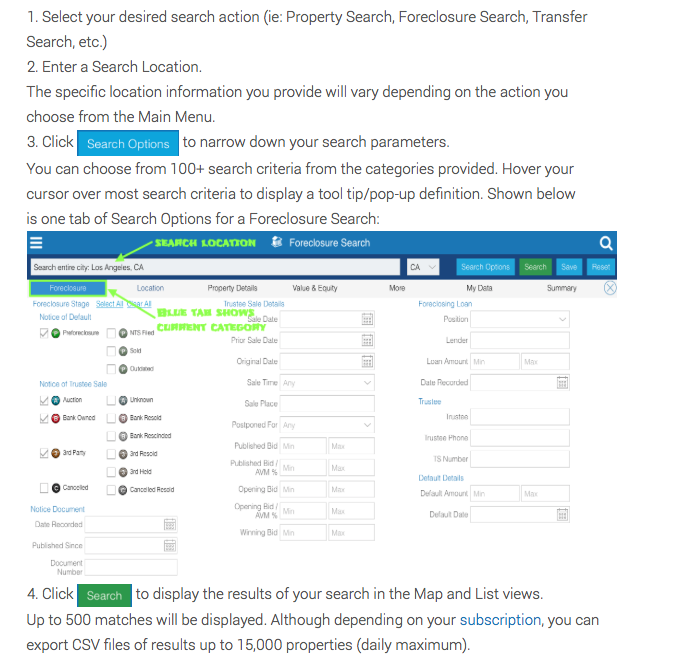 Using the endless combination of Search Options that can be selected, our Search can provide you with more ways of investing, assisting your real estate sellers and buyers, or analyzing data. For more ideas of looking into the data, watch the tutorials that can help you grow your business.